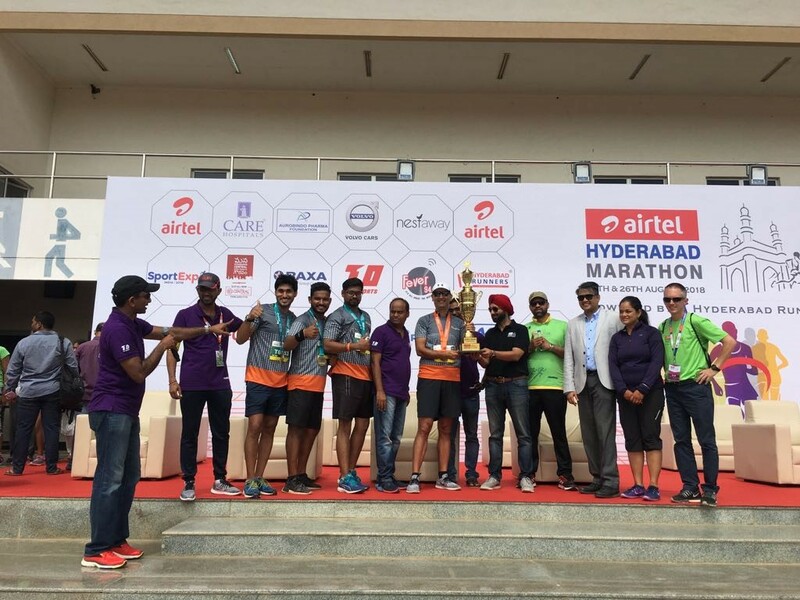 Optum wins Airtel Hyderabad Marathon Trophy for Maximum Employee Participation! More than 1,200 Optum employees participated in the 8th annual Airtel Hyderabad Marathon 2018, held August 26. Optum, the health services and technology business of UnitedHealth Group (NYSE: UNH), was awarded the trophy for maximum employee participation at the event for the fifth successive year. The Optum team included more than 1,000 men and 200 women co-workers, as well as several executive participants. All participating employees had access to professional trainers at Hyderabad-based Menon Fitness to help themimprove their performance, prevent injuries and receive nutritional advice. These services were provided by the Optum LiveWell program, an employee-assistance initiative that integrates physical, emotional and social elements into a ‘holistic wellness’ charter for each employee with customized health and well-being services. “Optum LiveWell helps people maintain a healthy lifestyle, and achieve their health and fitness goals. The Airtel Hyderabad Marathon (AHM) has always been one of the biggest events of the year for us and we are pleased to see more than 1,200employees participate,” said Kshitij Kashyap, Optum (IN) vice president of Human Capital and an avid runner.